Math on a Pirate Ship By Kerry McKeon and Jess Neill Cannon balls are found all around the ship and need to be moved from place to place. The pirates need to know how many cannon balls they can comfortably carry at one time. Cannon balls are found all around the ship and need to be moved from place to place. 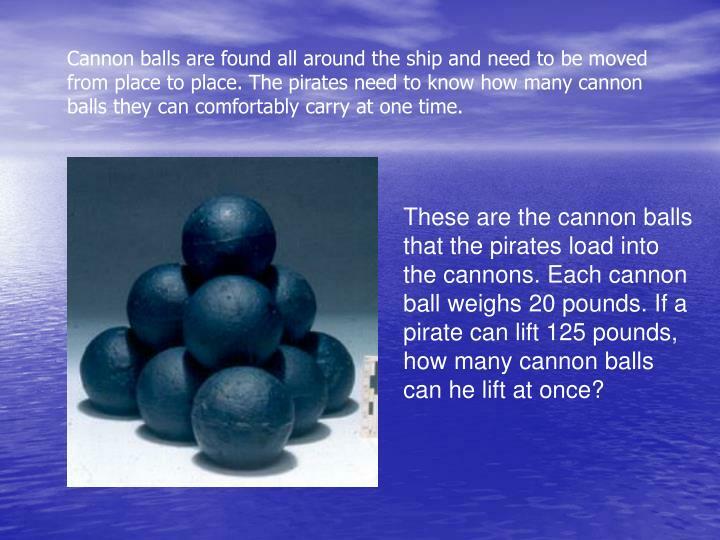 The pirates need to know how many cannon balls they can comfortably carry at one time. These are the cannon balls that the pirates load into the cannons. Each cannon ball weighs 20 pounds. If a pirate can lift 125 pounds, how many cannon balls can he lift at once? 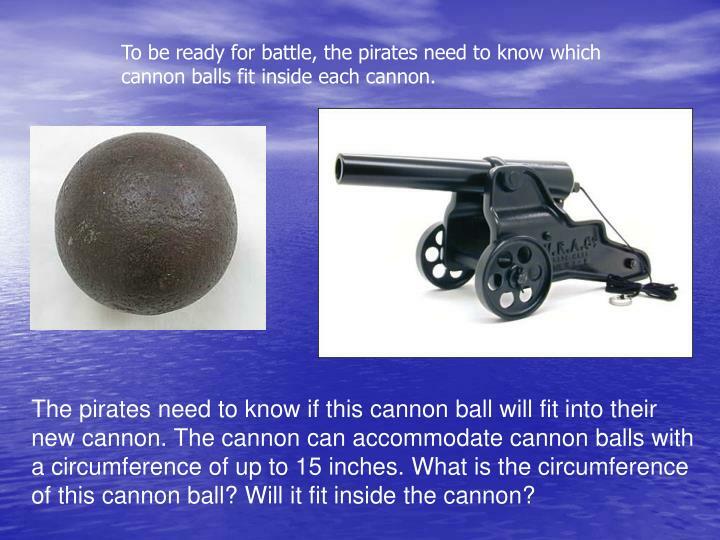 To be ready for battle, the pirates need to know which cannon balls fit inside each cannon. The pirates need to know if this cannon ball will fit into their new cannon. The cannon can accommodate cannon balls with a circumference of up to 15 inches. What is the circumference of this cannon ball? Will it fit inside the cannon? 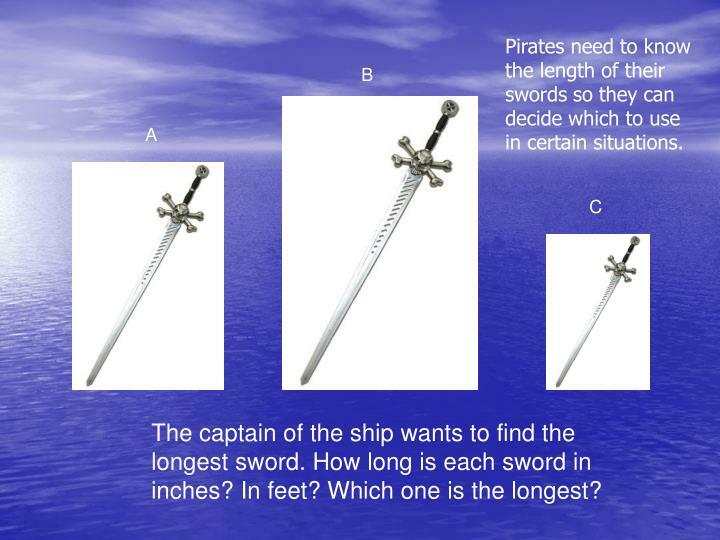 Pirates need to know the length of their swords so they can decide which to use in certain situations. The captain of the ship wants to find the longest sword. How long is each sword in inches? In feet? Which one is the longest? 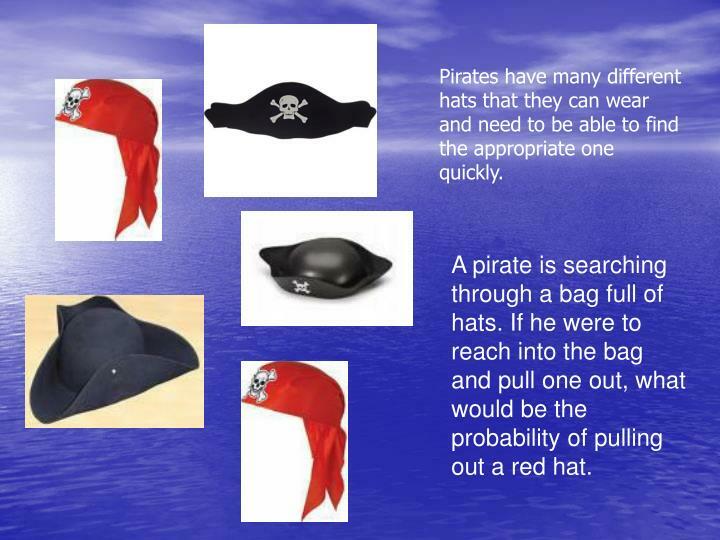 Pirates have many different hats that they can wear and need to be able to find the appropriate one quickly. A pirate is searching through a bag full of hats. If he were to reach into the bag and pull one out, what would be the probability of pulling out a red hat. This is the icon found on the pirate flag. 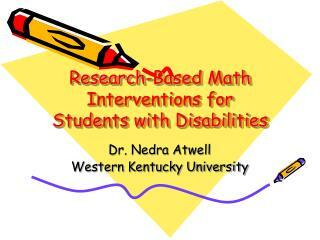 The cross bones create four angles that can be measured mathematically. 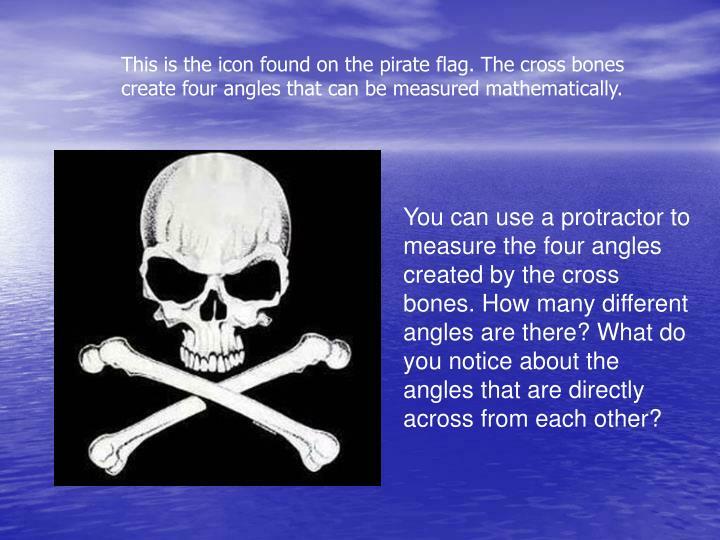 You can use a protractor to measure the four angles created by the cross bones. How many different angles are there? What do you notice about the angles that are directly across from each other? 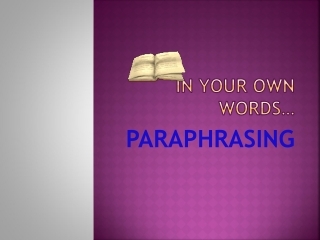 The number of oars on a pirate ship affects the number of men that are needed to row it. It is very important for pirates to know this information so that they are rowing their ship properly and most efficiently. There are 9 oars on each side of this pirate ship. 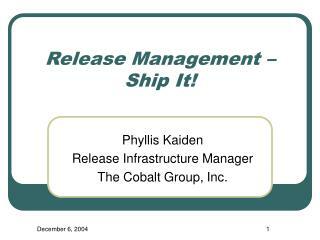 It takes three prisoners to row each oar. 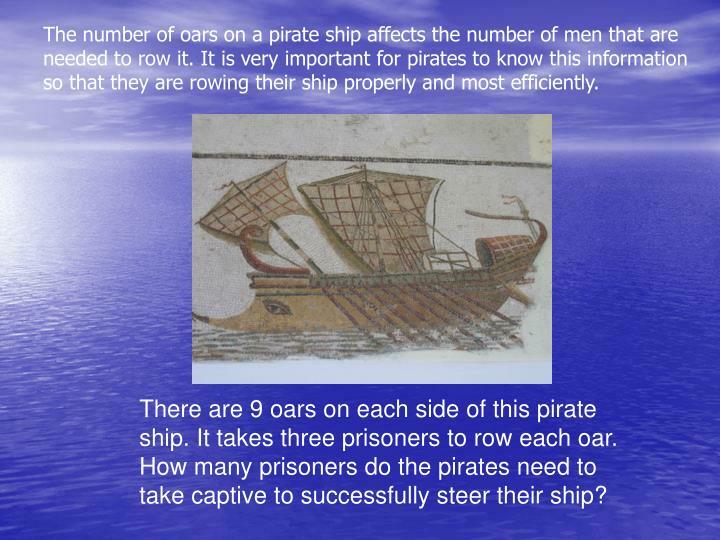 How many prisoners do the pirates need to take captive to successfully steer their ship? 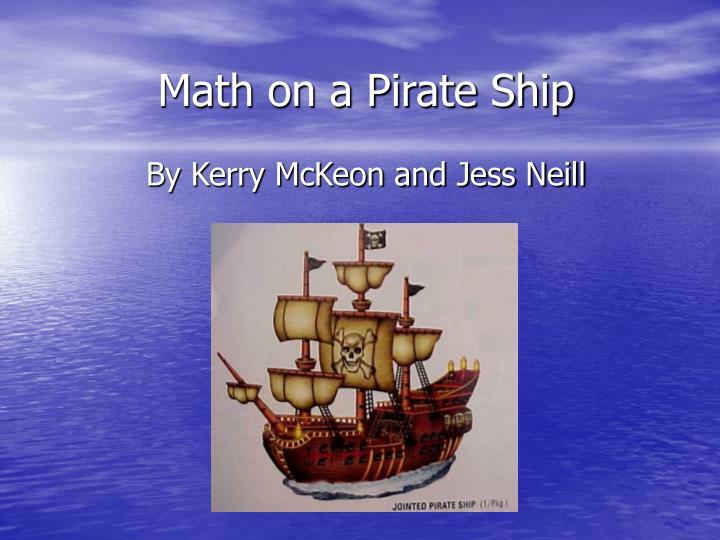 Pirates use treasure maps to navigate their way to the hidden treasure, but they need to use scales to determine how far they are from the treasure. 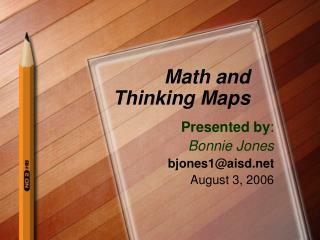 The pirates are using this map to find the hidden treasure. If ½ inch on this map equals 5 miles, how far are the pirates from the treasure if they are at Smugglers Isle? 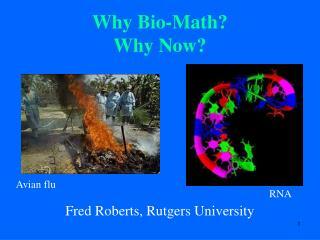 Are there different routes that they could take? In order to be ready for battle on time, the pirates need to know when they are going to arrive at the place in which they are attacking. 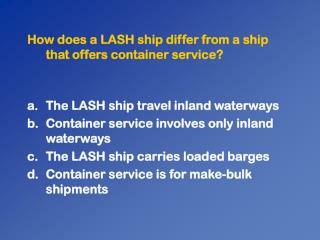 They can use how fast the ship is moving and how far away the destination is to determine how long it will take them to arrive. 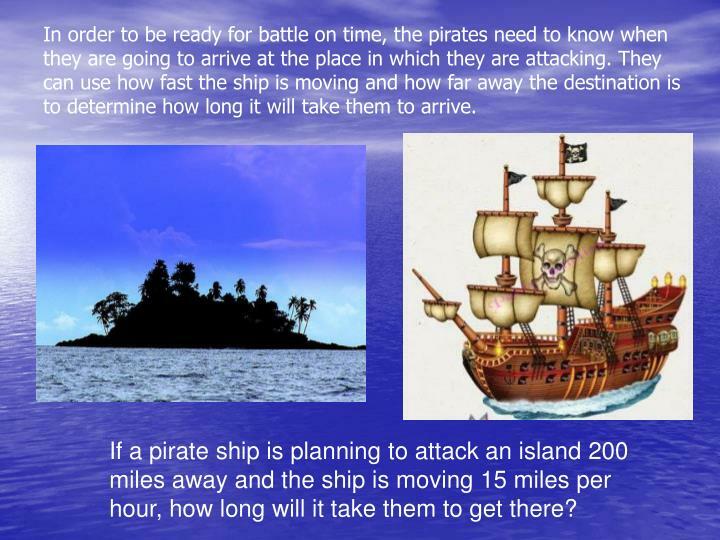 If a pirate ship is planning to attack an island 200 miles away and the ship is moving 15 miles per hour, how long will it take them to get there? 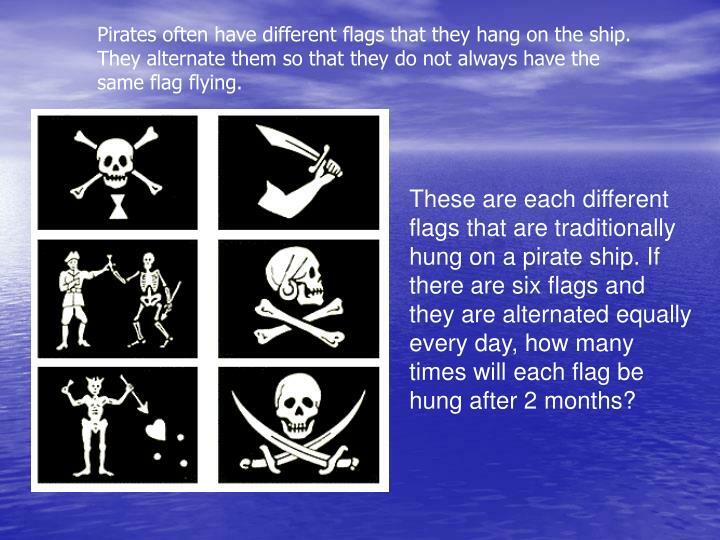 Pirates often have different flags that they hang on the ship. 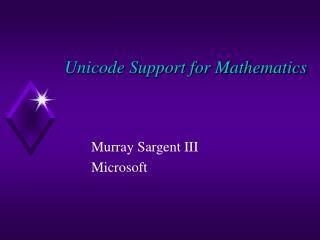 They alternate them so that they do not always have the same flag flying. These are each different flags that are traditionally hung on a pirate ship. If there are six flags and they are alternated equally every day, how many times will each flag be hung after 2 months? Many people think that pirates wear the same clothes every day, but this is not true. 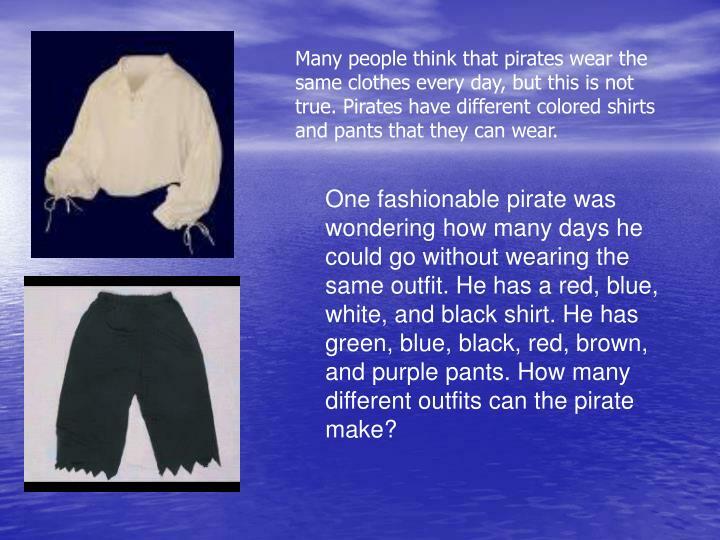 Pirates have different colored shirts and pants that they can wear. One fashionable pirate was wondering how many days he could go without wearing the same outfit. He has a red, blue, white, and black shirt. He has green, blue, black, red, brown, and purple pants. How many different outfits can the pirate make? 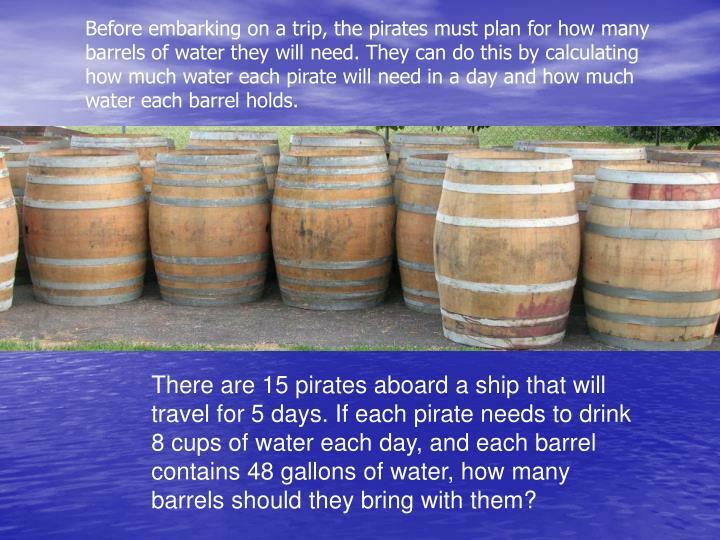 Before embarking on a trip, the pirates must plan for how many barrels of water they will need. They can do this by calculating how much water each pirate will need in a day and how much water each barrel holds. There are 15 pirates aboard a ship that will travel for 5 days. If each pirate needs to drink 8 cups of water each day, and each barrel contains 48 gallons of water, how many barrels should they bring with them? 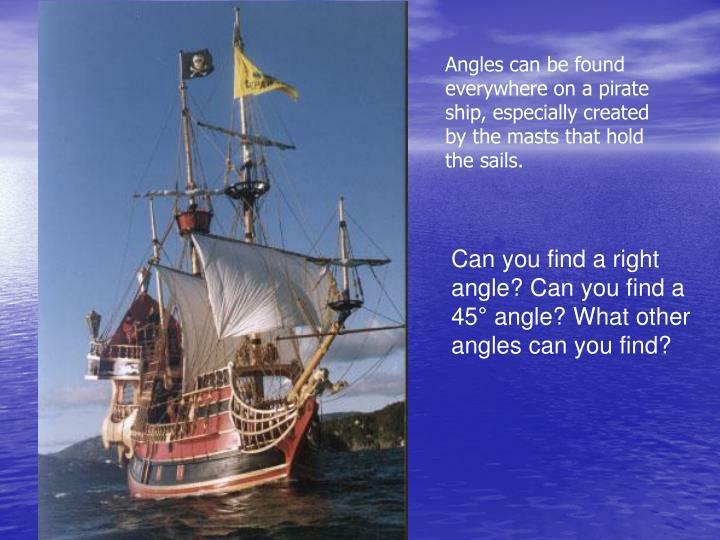 Angles can be found everywhere on a pirate ship, especially created by the masts that hold the sails. Can you find a right angle? 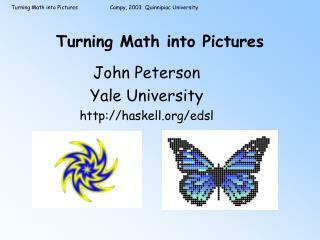 Can you find a 45° angle? What other angles can you find? Pirates often lose their legs in battles against other pirates. Therefore, knowing how to make a peg leg is an important skill, but there are many measurements involved. 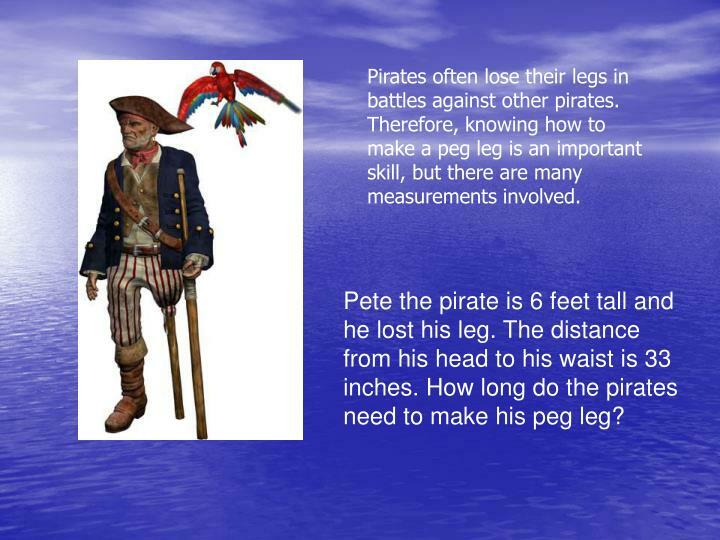 Pete the pirate is 6 feet tall and he lost his leg. The distance from his head to his waist is 33 inches. How long do the pirates need to make his peg leg? The crow’s nest is the highest point of the ship. Pirates use this so that that can spot advancing ships. However, it takes quite some time for the pirates to climb to the top. The pirates need to know how long the average trip to the top takes. Pirate Bob can climb the pole in 5 minutes, 30 seconds. Pirate Joe can climb the pole in 4 minutes, 45 seconds. Pirate Stan can climb the pole in 9 minutes. Pirate Sam can climb the pole in 7 minutes, 15 seconds. 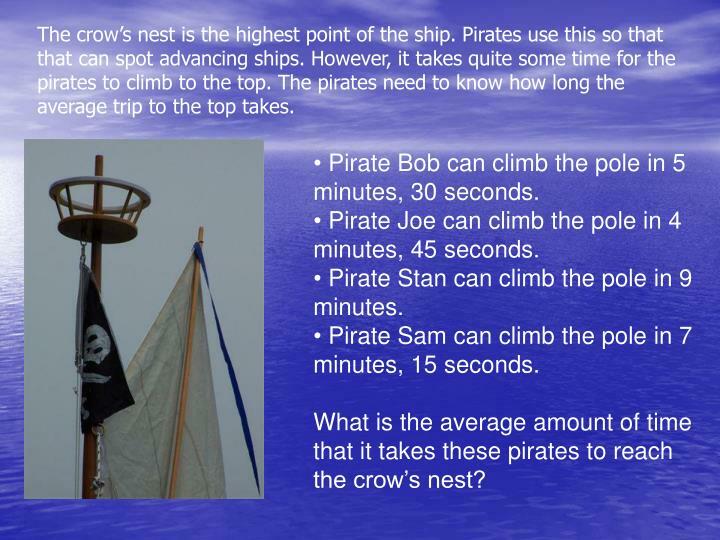 What is the average amount of time that it takes these pirates to reach the crow’s nest? In case of an emergency, pirates need to know how long it will take them to throw the anchor down. 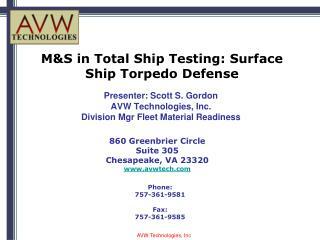 With a few calculations, they can determine how long it will take the anchor to hit the ocean floor. The pirates are in 270 feet of water and need to drop the anchor. Pirate Bill dropped the anchor at 30 feet per second into the water. 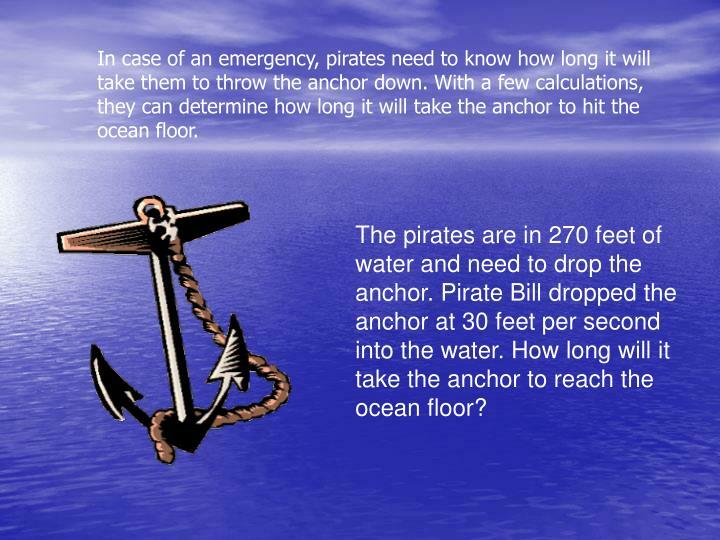 How long will it take the anchor to reach the ocean floor? Pirates use treasure chests to store their gold. 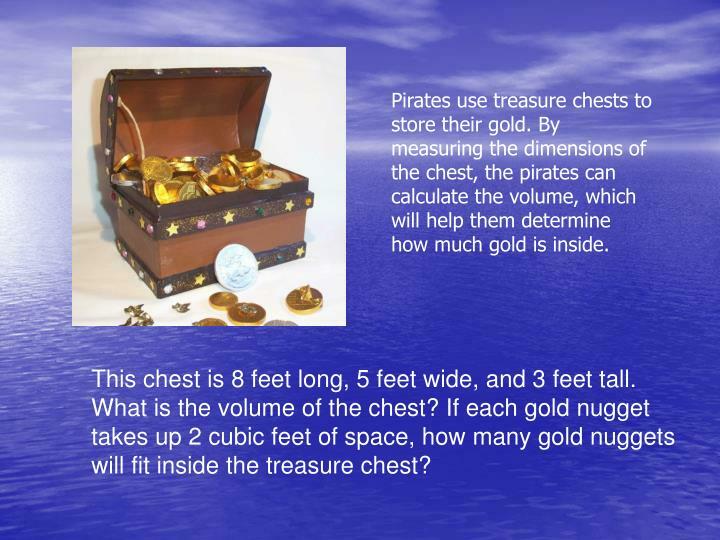 By measuring the dimensions of the chest, the pirates can calculate the volume, which will help them determine how much gold is inside. This chest is 8 feet long, 5 feet wide, and 3 feet tall. What is the volume of the chest? 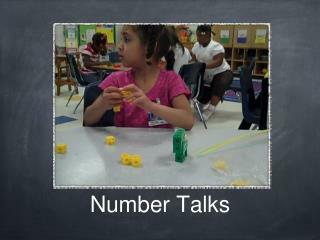 If each gold nugget takes up 2 cubic feet of space, how many gold nuggets will fit inside the treasure chest? When fishing for their dinner, pirates need to know who the best fisherman is so that he can spend the most time fishing. Pirate Dave and Pirate Sebastian were fishing on the front deck. Pirate Dave caught 30 fish and Pirate Sebastian caught 12. 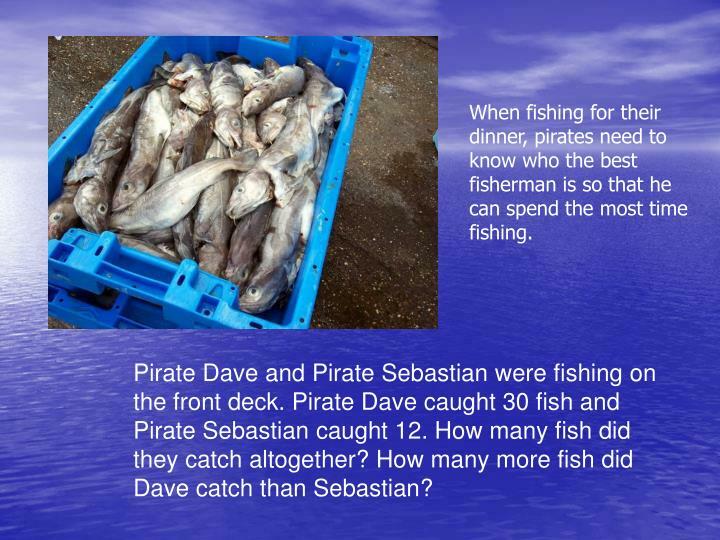 How many fish did they catch altogether? How many more fish did Dave catch than Sebastian? After finding a treasure, pirates need to divide it amongst themselves. With different people getting different amounts of the treasure, this task can be more difficult than it seems. 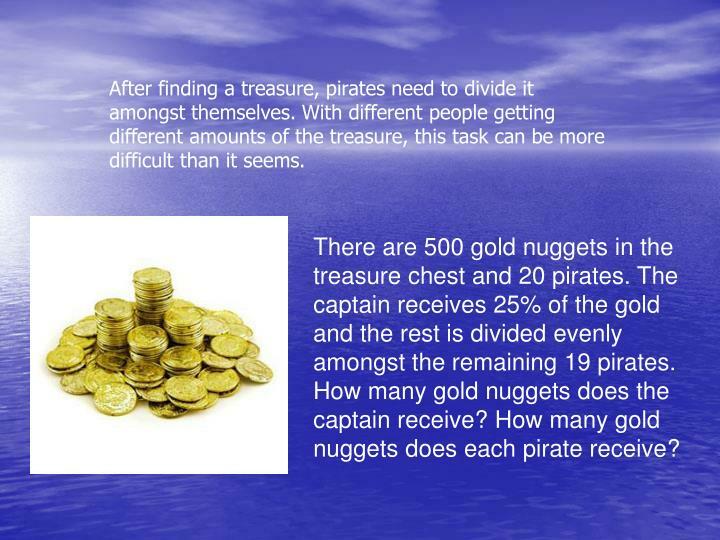 There are 500 gold nuggets in the treasure chest and 20 pirates. The captain receives 25% of the gold and the rest is divided evenly amongst the remaining 19 pirates. 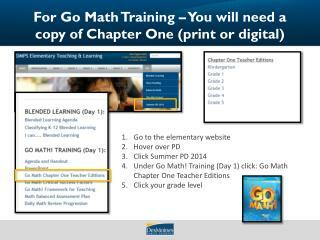 How many gold nuggets does the captain receive? How many gold nuggets does each pirate receive? 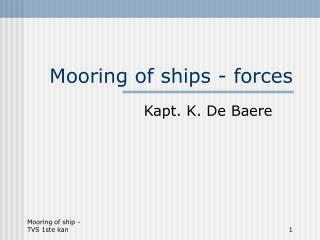 In case their ship is ever attacked, pirates need to have an escape plan. 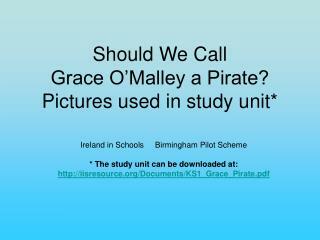 They need to know how many rescue boats they have and how many pirates they can safely fit into each boat. The pirate ship was attacked and is sinking. There are 5 rescue boats attached to the ship and there are 23 pirates. 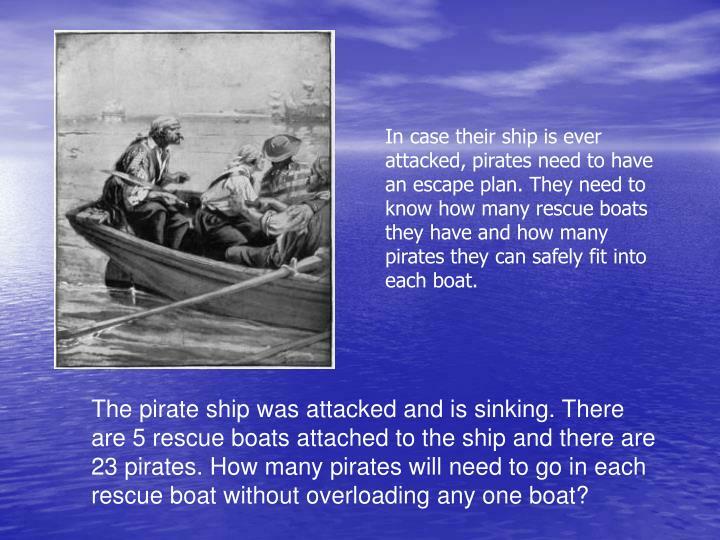 How many pirates will need to go in each rescue boat without overloading any one boat? 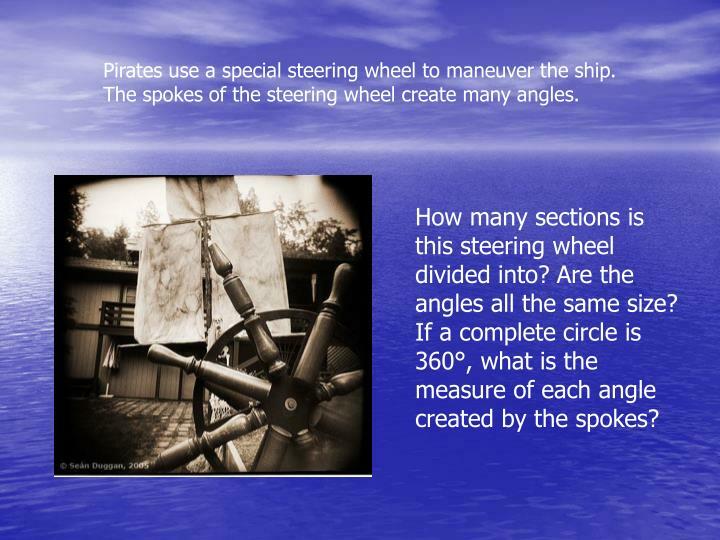 Pirates use a special steering wheel to maneuver the ship. The spokes of the steering wheel create many angles. How many sections is this steering wheel divided into? Are the angles all the same size? 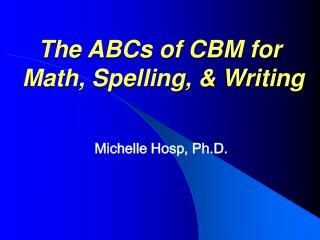 If a complete circle is 360°, what is the measure of each angle created by the spokes? 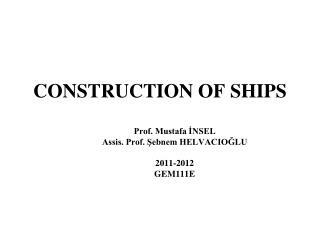 PIRATES -1-label the ship 2-dress the pirate 3-label the map. 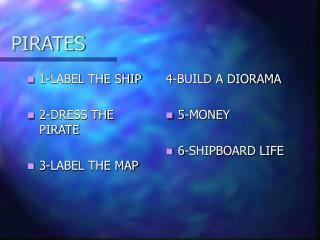 4-build a diorama 5-money 6-shipboard life. pirates. the jolly roger flies!. a brief history of piracy. what do you know about pirates?. did pirates have parrots? sure. 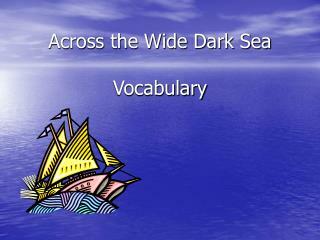 Across the Wide Dark Sea Vocabulary -. anchor. a heavy metal hook attached to a ship that is dropped overboard to hold the ship in place. journey. a trip. cramped. crowded ; not enough room to move about. 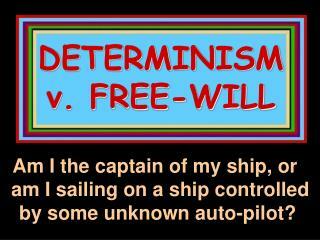 DETERMINISM v. FREE-WILL -Determinism v. free-will. 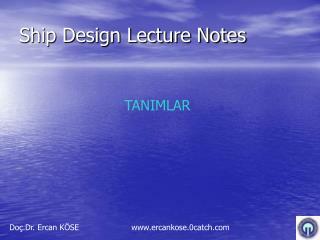 am i the captain of my ship, or am i sailing on a ship controlled by some unknown auto-pilot?.